"Do you want to go to the beach with me later? Just the two of us.” The promise seems to break when Jia, Sun’s good friend, starts to bully her. As many people would have similar experiences, childhood memories of troubles regarding friendships are nearly universal. 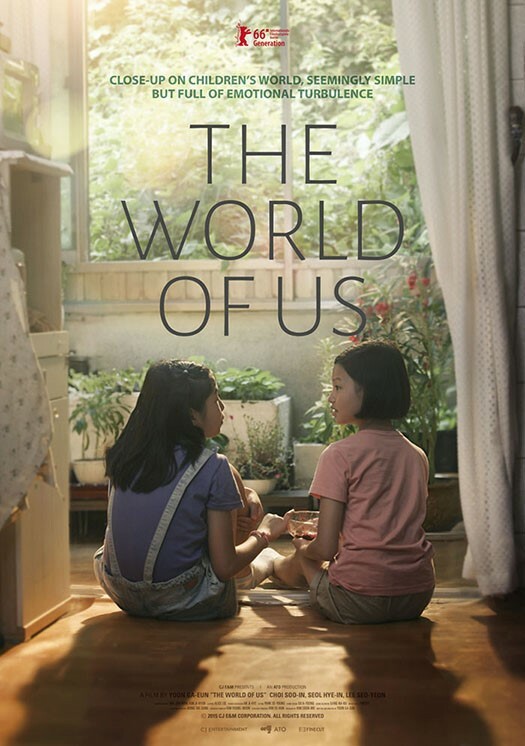 Directed by Yoon Ga-Eun, the film The World of Us (2015) illustrates children’s own world and thoughts about friendship from the children’s perspective, painting purity, beauty and cruelty in its own way. The film The World of Us focuses on the emotions of the main character Sun, who does not have any friends in school. No one directly causes her harm, but everyone avoids her, isolating her from their cliques. Sun is more than aware of the others’ hostility towards her, but always hides her sorrow, living like a shadow in the classroom. Soon a transfer student named Jia comes to the school and becomes Sun’s first friend. Unfortunately, their friendship seems to dwindle as Jia starts to bully her with Bora and her friends. The film is marvelous in its delicate and meticulous depiction of childhood friendship and has been recognized for its artistic value through numerous awards, such as the Baeksang Arts Award. The film is transcendant in its ability to illustrate the story from the children’s perspective. All the scenes display a deep understanding of childhood experiences, bringing back hidden memories of the audience. The dynamic nature of social relationships— how they wax and wane—is clearly demonstrated in the scenes. The film teaches the audience that relationships suffer and recover, and that the process is natural. The director uses children’s relationships to emphasize the volatile but pure nature of their society. The universal anxiety, anger and happiness that is felt from relationships is well-displayed through the camera work that focuses on Sun’s facial expressions. The film starts with the class picking sides for a dodgeball game in which the two leaders of each team pick members one at a time to be on their side. The main character Sun is left until the very end, and the members of the losing team express their obvious disapproval that Sun has to be on their team. The camera zooms in and only shows Sun’s changing facial expression. Sun seems excited that she gets to play dodgeball but her face slowly darkens as she does not get picked. Only the camera notices and emphasizes this expression change. After she gets hit by the ball, she gloomily walks off of the field and no one seems to acknowledge her presence during the game except the camera. This focus on Sun and her expression expands when Jia comes in to her life. After Jia and Sun become friends, all the one-shots Sun was previously receiving changes to two-shots. The scene now highlights the atmosphere of the two rather than individual emotions. The increased two shots show how someone important has stepped onto the screen, which in turn symbolizes Sun’s life. The elated atmosphere of the two characters makes the audience smile. However, when Sun is left alone once again, the camera work returns to its previous state. It focuses on Sun’s face, highlighting her loneliness and misery. Sun’s face taking up the whole screen, with only background voices to understand the situation, illustrates how lonely Sun feels. Through the camera’s focus on Sun’s expressions and her perspective of the issue, the audience is likely to effectively empathize with the main character. One of the factors that add to the empathy is the symbolism of dodgeball. Dodgeball scenes appear three times in the film—the beginning, the middle and the end. If one cannot strike the other in dodgeball, they may very well be struck out; the law of the jungle, that the weak becomes the prey of the strong, is clearly demonstrated in the game. In many ways, this law seems similar to social relationships of adults as well as elementary school children. 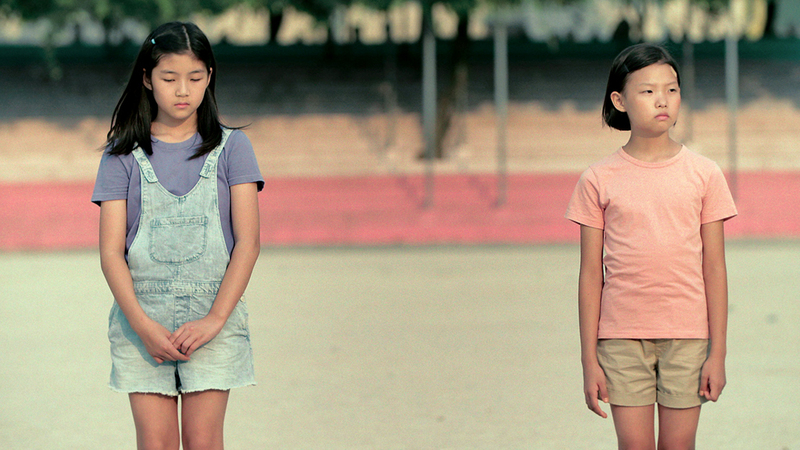 In the film, Jia bullies Sun with Bora and her friends after she realizes that Sun is being bullied in class. Then, Bora’s attitude towards Jia changes after Jia receives a higher score on the test. To keep her place, Bora starts to bully Jia and this law of nature is clearly demonstrated even on the field. Utilizing dodgeball as this symbol is an effective way to earn empathy from the audience because dodgeball is such a universal game. Dodgeball brings up the childhood memories of the audience and simultaneously illustrates the nature of the children’s world. This ubiquitous experience allows the audience to identify him or herself with the main character Sun, making it easier to understand or remember relationships that children form with the people around them. As marvelous the film is in illustrating the children’s world in children’s view with children’s activities, the film has one distracting flaw. The characterization is not deep enough to completely immerse the audience in the plot. Bora is a typical villain. She is a witch, a stepmother who appears in fairy tales. She is evil in every way possible, bullying weaker students just because she does not like them. However, Sun is in every way the opposite of Bora. She is unrealistically kind and is always good to everyone, even to those who have caused her direct harm. The extreme, simplistic characterization made the two characters seem unrealistic, hindering the viewers from empathizing with Sun and her world. The World of Us introduces the viewers to Sun’s perspective of the world, allowing them to return to their childhood and observe the classroom. Careful depictions of Sun and her emotions with her memories of the dodgeball field easily pull the audience into the screen not only as observers but also the protagonists themselves. After the screen fades and the ending credits take place, the viewers will see themselves immersed in their thoughts and emotions they held as a child, with a faint smile on the corner of their lips.